People often wonder what pellets are best for pellet stoves? The problem is that there are hundreds of different varieties and a lot of local dealers. It can be overwhelming to search through all these to find the best pellet fuel for your stove. Also, there’s the simple questions like “what are pellets?” and “should I buy hardwood or softwood?” That’s where we come in. We did the research for you, and wrote this guide to share our insight into finding and buying the best stove pellets. Owning a pellet stove can be a rewarding investment. You aren’t tied to the grid for heat, and you get the cozy nostalgic feel of fire. So let’s say you went and bought a brand new pellet stove like our favorite Castle Serenity (see the best pellet stove), but now you need fuel. There are hundreds of different pellet brands out there, so we wanted to take the time to highlight a few of our favorites. Although not all of these can be purchased online, it will give you a better idea of what constitutes a great pellet. These pellets have received some of the highest customer satisfaction reviews. 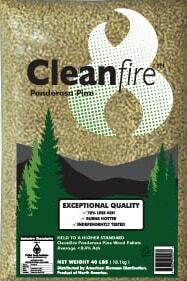 They are made completely of softwood sawdust, and are considered one of the cleanest burning pellets on the market. Some reviewers note that ash output can be as little as 3-5 tablespoons per bag. The premium quality of these pellets makes them a bit more expensive, but in the grand scheme of things you save time and energy. 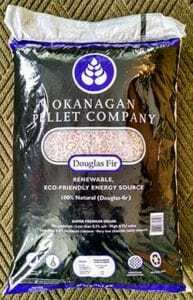 No one wants to constantly be worried about their pellet stove pipe getting dirty, or their pellets not burning properly-with Okanagan pellets you don’t have to. These softwood pellets are a cult favorite among stove owners. These are some of the highest btu pellet fuels, and extremely low ash production. This makes sense considering all the effort thecompany has put into over engineering their pelle manufacturing process. They have trademarked their “Heatright” process which was invented to create pellets with cleaner and hotter burn times. Additionally, the softwood used to make the pellets is sustain-ably harvested. If this all weren’t enough, all the employees of Vermont Wood Pellet Co. burn their own pellets in their homes. I can think of no greater endorsement. These pellets are from Michigan and are a blend of both hard and soft woods. There is almost no bark in them, which means that the ash content will be very low. Finally, the pellets are put through two screening processes in order to ensure that no broken pellets are shipped. One final benefit is that these pellets can be bought online from Standish Mill. A discount is currently running which would give you $50 the price of a ton of pellets ($250). 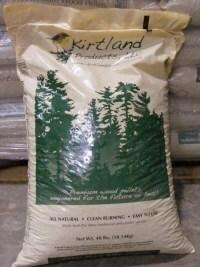 As with other Douglas fir pellets, Bear Mountain delivers a superior product with a more intense and longer burn time. Reviewers also note that the bag does not contain much extra sawdust or debris. Bear Mountain is exemplary for their consistent quality. One pellet dealer mentioned that he recommends Bear Mountain to all of his “finicky” customers, because he knows they will most likely be satisfied. These pellets are the most convenient to order online, but sadly have some annoying issues. On the positive side, they burn very intensely and the heat output is good. On the negative side, there is a large amount of dust that escapes when the pellets are being poured into the stove’s hopper. Additionally, the ash content is not low (average) especially when compared to a high performer like the Okanagan Douglas fir. One benefit to their website is that it also shows the locations of other retailers that are close to your personal zip code. What is in a wood pellet? The contents vary, but pellets are generally made from compressed sawdust and sometimes mixed with other substances such as paper, glue, cardboard, and bark. There are also biomass pellets made from organic materials. The sawdust is a byproduct of lumbar processing, so through buying pellets you are helping to utilize every part of the tree. The type of tree that pellets are made from, the moisture content, ash production, and additives all influence the overall quality of a pellet. 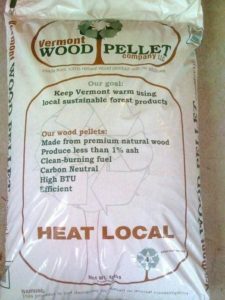 There is a lot of misinformation out there on whether pellets made from hardwood trees such as beech and oak are better than those made from softwood (cedar, pine, spruce, etc.). Hardwood is used in high end furniture, and has gained a reputation as being better for burning, but when we examine the facts objectively softwood has the advantage. Softwood outputs 9%-20% more heat per pound than hardwood. It may seem strange to hear considering that hardwood is often marketed as superior, but if you care about maximizing heat output softwood is the way to go. NOTE: There is little regulation for what is put on the labels of pellet stove pellets, so you will have to test some brands for metrics like heat output and ash content yourself. It is a little bit of trial and error, but once you find a brand that works for you then you’re set. Heat output: This is measured in BTUs, so you want to look for pellets that have higher BTU ratings. The best pellets are in the 8,000-8,500 range. It is important to note that you may see a “moisture free” label. This indicates the BTU rating when all the water is removed from the pellet. This rating is unrealistic, because you don’t store your pellets in a vacuum. If it is the only BTU rating available then aim for something between 8.2k to 8.8k BTUs. Low Moisture Content: This influences how long it takes you to light your pellet stove. If you use low moisture pellets as fuel it won’t take as long. The best pellets have a moisture content of 6.5% and below. No additives or bark: Pellets without bark, cardboard, glue, or recycled materials burn hotter and produce less ash. As with a lot of important decisions-it depends. Unlike buying a stove, buying pellets for a pellet stove can be challenging. There are a few important questions you have to ask yourself. Q: How much is a bag of wood pellets? A: A bag of pellets costs between $4 to $6 for a 40 pound bag. The Home Depot wood pellet price will be similar. Prices are competitive, but we always recommend local suppliers. Most people buy pellets buy the ton, which cost around $200-$250 dollars. In total, you will probably go through 7 tons in a year, so the combined cost of pellet stove fuel ends up being $1,400-$1,750 per year. Considering the high price of other energy sources (heating oil) that figure isn’t bad. Q: Are these pellets good? A: Aside from following the buying criteria (and buying the top pellet brands) we outlined above, there is a simple way to get a general idea of the pellet quality-take a sniff. No seriously, if you open the bag and smell the pellets and there is a chemical odor then you probably shouldn’t be burning those pellets. 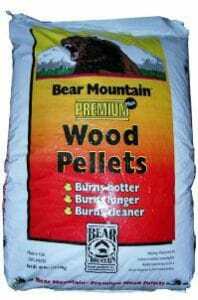 Premium pellets are made with wood alone, and as a result they just smell like wood. Q: Are you buying in bulk? YES: If you are purchasing a year’s worth of pellets then you are going to be ordering around 1 ton of pellets. Special delivery men will have to deliver and unload a pallet containing the pellets (known as a skid). These types of orders can only be serviced by local lumber mills or pellet providers. NO: You can order online from companies like Sears or Home Depot or buy at the physical locations of these retailers. We advise carefully checking the pellets to make sure there are no additives, because the highest quality pellets are not always available. If this is an issue then maybe consider wood stove vs. pellet stove. Q: How far away do you live from the supplier? FAR: If you live far from the supplier (e.g. different state) then the shipping costs of delivering such a large load will be very expensive. Just as with buying bulk, it is always better to purchase from a dealer in your area. CLOSE: Nice, you lucked out. Form a relationship with the supplier and they might be able to give you a deal in the future. Well there you have it, our A to Z guide about finding the best pellets. Once you find a supplier everything (NOTE: local wood pellet prices vary) will go far more smoothly. Stay up to date on our website, so you don’t miss any important information/rating changes/product releases.